A company based in Papua New Guinea has grabbed attention for its interest in what at least one Alaska official has called the state's third-largest oil field. Oil Search, based in the country that's just south of the equator and just north of Australia, took over last week as operator of the Pikka Unit, Alaska's Energy Desk reported Wednesday. The company bought a significant stake in the project last year from its main partner, Denver-based Armstrong Oil and Gas, with an option to take over the rest of Armstrong's stake. The Spanish oil company Repsol continues to own a significant percentage. State Department of Natural Resources Commissioner Andy Mack said the Pikka Unit field alone could reverse the long-term decline in the amount of oil flowing down the trans-Alaska pipeline. "Literally, if you line up the big fields up on the North Slope, this probably ranks third behind Prudhoe Bay and Kuparuk," Mack said. President of Oil Search Alaska, Keiran Wulff, said the company's first planned development in the field west of Prudhoe Bay could represent a significant investment — in the range of $4 billion to $6 billion. "We see Alaska as a place of enormous opportunity," Wulff said. 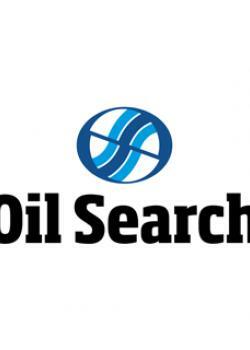 Oil Search operates all the producing oil fields in Papua New Guinea. But gas makes up the bulk of what invested there is gas, so the company decided it needed to balance its portfolio. "Gas projects — as the state's finding out right now — often take many years to come to fruition, whereas oil projects are a lot quicker to market, so it's very important for any company to have a balance between oil and gas," Wulff said. Wulff said his company sees a lot of similarities between its home country and Alaska. "Papua New Guinea is one of the most challenging places to work on the planet. It's very remote, very mountainous, there are no roads, and there is no infrastructure to speak of. And everything has to be brought in on helicopters and such," Wulff said. Wulff said Oil Search's discussions with Nuiqsut — the community closest to the company's first planned development — are still in their infancy. Kuukpik, the village corporation for Nuiqsut, has spoken in favor of the development, but records from public meetings show that some in the community have concerns about the potential impacts. "We've been doing a lot of listening," Wulff said. Oil Search wants to drill a few more appraisal wells to get a better idea of how much oil it's actually sitting on.